What do I think of Louis Markos’s book published by Harvest House? Let’s plunge into the Deeper Waters and find out. Markos’s book is an interesting read. He writes as a philosopher with a pastor’s heart. He clearly has a great love for many of the literary classics that have been shaping our culture. 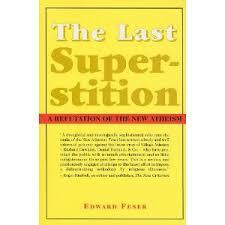 This work is a look at how many of those from the past dealt with the atheism that we see today. It’s nothing new. It has already been answered every time. There may be some different arguments, but many of them have the same kind of presuppositions. The pastoral side of the work is that Markos wants to take us beyond just the God of the Philosophers. I do think that the arguments of classical theism that get you to the God of the Philosophers are just fine. I try to establish classical theism before I establish Christian theism. Still, there is something unique about Christian theism. Markos rightly points out the importance of miracles for a Christian worldview and finds arguments against them wanting. He also has a section on the good, the true, and the beautiful. I find this to be an important distinction to make because too many of us don’t know the point of those ideas. Many people today might not have even heard of that saying. There are also responses to such things as the problem of pain. This really came about in the Enlightenment time and one of the chief events talked about in Voltaire’s Candide is the earthquake in Lisbon, Portugal that murdered a large number of people. Evil is probably the most understandable argument against theism, but logically, it no longer works. It can still be used as an emotional or existential argument. If there were some things I would change, one is that Markos decided to not have notes in order to make things friendly for the layman, but instead included a brief summation of each chapter in the back of the book that did include where to find the information. I would have preferred the notes. Notes have not been a problem in books for laymen. Consider the Case books by Lee Strobel for example. They have been filled with notes and yet they are incredibly reader-friendly. Markos also has arguments against evolution. As a Thomist again, I have no problem with evolution and as a non-scientist, I tend to stay out of it. I would not be bothered at all if I found irrefutable proof that evolution is true nor would I if I found the same that it is false. It does not affect my arguments for theism or my understanding of Genesis one iota. I still do think that this will be an enjoyable read for many people. Atheism has been with us longer than we realize and in every age, it has been refuted. There is nothing new under the sun. If we say that God’s nature is good or love, what do we mean? Let’s plunge into the Deeper Waters and find out. Yesterday on Facebook, I saw a friend of mine post a poem that was saying what love is not, and for the most part, I agreed with it. It ended with the poet saying that God’s nature is love. If you want to know what love is, look to God. That is where I begin to have disagreements. If you wanted to say that God is the one who acts out what love is, then that is one thing, but too often when we have conversations about goodness and love, we just refer to God’s nature. What is the good? The good is God’s nature. I agree that God’s nature is to be good, but there is a problem with this approach. You see, when we speak of this, first off, we normally mean only moral goodness, but there are other types of goodness. If my wife fixes a pizza for us for dinner and I say “My, this is a good pizza.” I am not saying anything about morality there. I am saying something about the quality of the pizza. If I read a book, I can say that it is a good book, but I am not saying it is a moral book. If I am someone who does not know what good is, how does pointing me to God tell me what it is? What am I to think of that? This is a godlike book? This is a godlike pizza? If I do not know the nature of God, how am I going to know the nature of goodness by pointing to something that I don’t know? Many atheists also tie this in with the Euthyphro dilemma. The Liconas and Habermases regularly get together for Labor Day, so while over there yesterday, Gary and I watched Mike debate Larry Shapiro and it was quite frankly a massacre. Shapiro just did not know the subject matter at hand well enough. In the talk, he presented the dilemma. Is something good because God says it is or does God say it is good because it is good? He said that no one had ever answered this question. Of course, this problem could be turned back onto whatever Shapiro thinks is good. Does society say something is good because it is, or is something good because society says it is? Sadly, Shapiro doesn’t realize that Plato’s own student Aristotle answered the dilemma. He did it in a simple way. He defined goodness. That’s what we need to do. Aristotle started it simply by saying the good is that at which all things aim. There’s much more to it, but it is a definition. That is the proper way to answer the dilemma also. Tell what love is. Tell what goodness is. Pointing to God does nothing to those who don’t know God and even if you do, it doesn’t help. After all, how does knowing God’s nature tell you what is meant by a good pizza? We should all strive to know God’s nature, but let’s also make sure we’re conveying an accurate message. While I agree goodness and love can’t exist without God, one doesn’t need to know God to know what those are. We find out what they are and then that helps us understand God better.